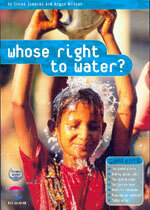 Worldaware had a track record of highly successful publications from the national curriculum era of the early-nineties. These included learning resources on Castries, St Lucia and Tocuaro, a Mexican village which were also available from the Geographical Association. Worldaware operated a resource centre selling these, and many other items, through a regular catalogue sent to schools and online. A series of sixth-from conferences called Constructive dialogue in globalisation issues included a wide range of companies, organisations and government ministers. A key feature of this work was supporting professional development with sessions on global issues for teachers and on university courses. The flagship was the Global Eye magazine, funded by DFID, and the website was widely regarded and won a Gold Award from The Geographical Association. The Global Eye website continued for a while edited by Simon Scoones with financial support from the Royal Geographical Society. It remained online for some years, although somewhat out-dated. The site www.globaleye.org.uk now appears to time out. Two projects produced secondary school publications written by Simon Scoones. 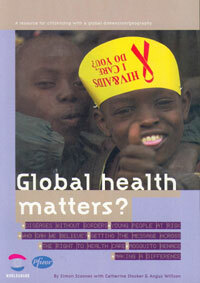 and Global Health Matters with Pfizer. Worldaware no longer exists as a separate charity. It ceased trading and all of its obligations were met at liquidation in March 2005. The people I worked with provided an enjoyable setting and the projects were sound and decently funded. However, the writing was clearly on the wall and we managed a graceful close-down. It was sad to do so, but it was completely realistic. Although one key person, external to the organisation, was critical of this decision, most people with understanding of the government-NGO interface were supportive.